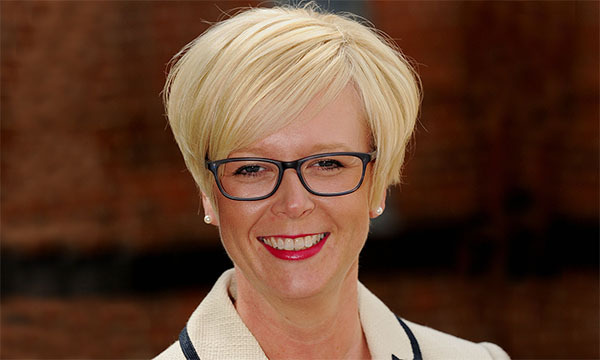 Chief executive officer of Woking and Sam Beare Hospices, Surrey, Jayne Cooper describes what has inspired her throughout her career. I am chief executive officer (CEO) of Woking and Sam Beare Hospices, Surrey. The charity delivers specialist palliative care services to more than 1,400 patients and their families across six boroughs, and has recently moved into a brand new state-of-the-art hospice. My role includes the financial and business running of the hospice, along with fundraising, retail, governance and clinical services. From the age of three I always wanted to be a children’s nurse, care for people and make a difference. Children’s nursing enabled me to empower patients and their families, often at difficult times. I have found nursing to be an incredible privilege and I am fortunate to have had a rewarding career. At the University Hospital of Wales college of medicine, Cardiff. Project 2000 was being introduced and this was one of the few institutions that were taking child-branch entrants. The autonomy and huge variety: one minute I am discussing a fundraising event, then the retail shops and next I am giving my attention to clinical governance. I thrive on the challenges that this role brings and being able to continually develop my skills. I am fortunate to work with some fantastic teams and knowledgeable individuals. How and where have you developed leadership skills? I was awarded a Florence Nightingale scholarship for children and young people’s leadership in 2011. What I learned during that year will stay with me forever and has shaped the leader that I am today. This has been further enhanced by my recent completion of a master of science degree in leadership and innovation in healthcare. I have also had many leadership roles where I have been allowed to grow and flourish. The most significant was my role at Torbay and South Devon NHS Foundation Trust, where I was the only matron for children’s services in a district general hospital. There I became an advocate for children and their families across all services and the wider healthcare setting. I have always taken the opportunities presented to me. These have included being a Nursing and Midwifery Council reviewer and professional advisory lead for children’s nursing for the South West Strategic Health Authority. How does your current job make use of your leadership skills? I use my experience every day, from setting the vision for our new hospice to chairing meetings, from leading change to enabling others to lead their teams. Hospices are predominately charities and rely on voluntary income. Funding is a challenge that, with the current economic climate, continues to grow each year. The care we offer to patients with life-limiting and terminal illnesses is specialised, and our services alleviate pressures on the NHS by providing the right care at times that are difficult for patients and their loved ones. I would like to see ring-fenced funding to enable us to be fully operational. The teams I work with, and their dedication to our patients and families. Being appointed CEO. I feel honoured to lead the Woking and Sam Beare Hospices. My goal was to be a director of nursing and I have surpassed my own expectations. Being confident in your decisions, and having the courage of your convictions, but with compassion. And to always lead by example. What advice would you like to pass onto students and junior staff? Don’t be scared to step out of your comfort zone. With commitment and hard work, you can achieve. And always be prepared to do what you would ask others to do.